The Swan Valley is an easy 25-minute drive from the Perth CBD, making it one of the closest wine regions to a capital city in the world. And with so many things to see and do, it also makes it one of the perfect places to spend a day. In saying that, it can be hard to choose. Here are 5 ways to help you decide how to enjoy your day in the Swan Valley. From breakfast to dinner, the Swan Valley has plenty of eating options for you. For a breakfast among the vines, head to the eclectic Grounds Cafe at Oakover Grounds. Open on weekends for brekky, this is your perfect start to a day in the Swan Valley. Be sure to complete with the excellent in-house roasted Fiori Coffee. Lunch time is a special time at Sittella – In this tranquil setting with valley and vineyard views from the verandah, visitors are invited to enjoy fine food and award-winning wine. Satisfy your afternoon cravings at Providore, where you can indulge in tastings and produce from their own organic veggie gardens, olive grove and orchards – accompanied by a large selection of herbs and spices, chutneys, jams, sauces, oils and dressings. It’s time for dinner and what do you know? You’re still in the Swan Valley. There are many beautiful restaurants open for dinner, from Sandalford Winery, Mandoon Estate, to the Rose & Crown and Kappy’s Italian Trattoria, just to name a few. Enjoy exercise, nature and a bit of history? Why not combine all three? Established on what is virtually an island encircled by the Swan and Helena Rivers, Guildford is ideally suited to exploration on foot. Discover the numerous historical buildings, lively characters and wonderful stories of this ‘island village’, with four self-guided heritage walk trails with 50 interpretive panels along the way. The trails start and finish at the Old Guildford Courthouse (Swan Valley Visitor Centre). Read more at Guildford Heritage Walk Trails brochure. Prefer Cider and Ale to wine? The Swan Valley has the trail for you. Start your day off at Funk Cider, a boutique natural cidery, then, move on to the Duckstein Brewery for a little piece of Germany in the heart of the Swan Valley. From there, head to Mash Brewing which boasts a fantastic, locally built craft brewery. Finish your Cider and Ale day at Mandoon Estate – a fresh, modern addition to the beautiful Swan Valley. You can find full details of the Cider and Ale Trail HERE. Cheese, chocolate and honey? Yes please! The Cheese Barrel in the Swan Valley is stock-full of local and imported cheeses for your tasting and purchasing pleasure. So, why not try before you buy? House of Honey is famous for its fresh honey as well as the varieties they produce. And it gets better, they sell honey wines and honeycomb ice-cream too. Need a chocolate fix? With two chocolate factories in the Swan Valley, you can indulge in it twice! Want to really relax and unwind? With a Swan Valley wine tour, you really can relax and unwind from the moment you step onto the luxury bus. Let your senses run wild in the Swan Valley; watch row after row of succulent vines roll by, smell the aroma of the cedar barrels and savour every delicious taste of the Valley. Each stunning vineyard will reveal amazing scenery and leave you breathless. 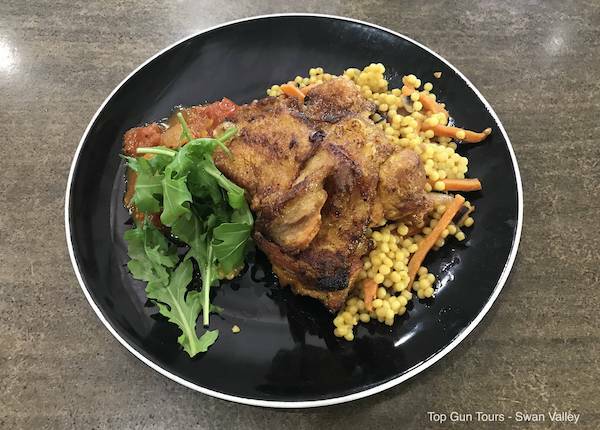 Our Top Gun Tours wine tours of the Swan Valley will take you through two prestigious wineries, lunch at Mandoon Estate, two more remarkable wineries, followed by a decadent favourite – the chocolate stop. Rest assured, the samples will be amazing, the food delicious and the scenery unforgettable. With all these options and just a 25-minute drive from Perth, why wouldn’t you choose the Swan Valley to spend a day? Think indulging in a Wine Tour for the day sounds like you? Book your Swan Valley Wine Tour today! 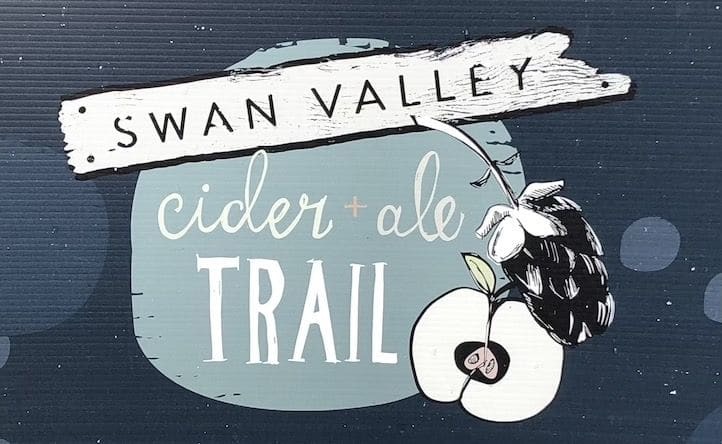 Posted in Things To Do and tagged Cider & Ale trail, Heritage trail walks, Swan Valley, Things to do on 20th July 2018.